Future Golfers was established in 2006 with the main aim of introducing as many kids as possible to the wonderful game of golf. 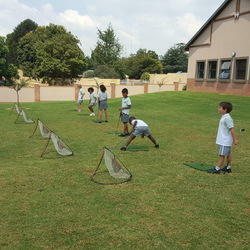 We currently offer golf lessons at various schools across Gauteng and are endorsed by Supersport Let's Play. We have also partnered with The Pro Shop, US Kids Golf, SNAG Golf, Ahead Golf, Tee to Green, The Golf Centre and the Spur to provide your upcoming little player with a unique product offering that includes various benefits from all our affiliated partners. 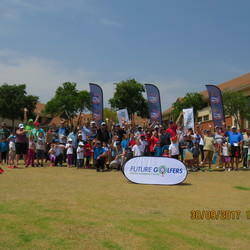 Future Golfers was established in September 2006 with the main purpose of bringing golf not just to the public, but to the children of this world. We help your little player become not just a fantastic and capable golfer, but also a more rounded individual. We also offer tournaments held at various Mashie golf courses across Gauteng which help all our players connect the dots about the game and to see what exactly golf entails. Our tournaments also offer us an opportunity to meet the parents and serve as a great way for the parents to see how their little player is progressing. Future Golfers works on a unique and approved level system whereby players are awarded with achievement badges each term. This is a great motivator for all our players and once a player has collected 4 badges of the same colour, he/she graduates to the next level. We currently offer 4 levels in our program. Once a player has graduated from all our levels, he/she is ready to take golf to the next level and we refer him/her to various PGA/WPGA professionals at various golf courses for further instruction. 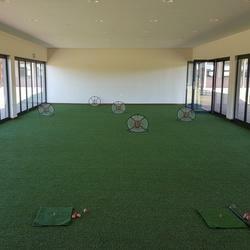 Future Golfers is the essential first step for any child who would like to start playing golf. Golf is a game that can be played for life and will serve your child well in the business world one day.